Discover over 130 pages of unique content spanning fashion, beauty, travel and food. Style Notes: An interview with the designers of Flagpole, photographed by Sharon Radisch; a catch-up with Jessie Randall of Loeffler Randall; a conversation on denim with expert and author Amy Leverton of the new book, Denim: Street Style, Vintage, Obsession. A springtime edit of accessories shot by floral designer and photographer Doan Ly; contributing photography by Alison Engstrom and Sharon Radisch. Beauty Notes: A conversation with natural beauty entrepreneur Jana Blankenship of Captain Blankenship; Shiva Rose discusses her new book, Whole Beauty; Color Wave, a beauty editorial shot by Evgenia Sizanyuk using spring’s best makeup and more. Inspired Living: Jiahn Kang of BK Floral Delight talks the sweet life of flowers and cake; new book releases on our shelf; one nightstand, three ways and more. 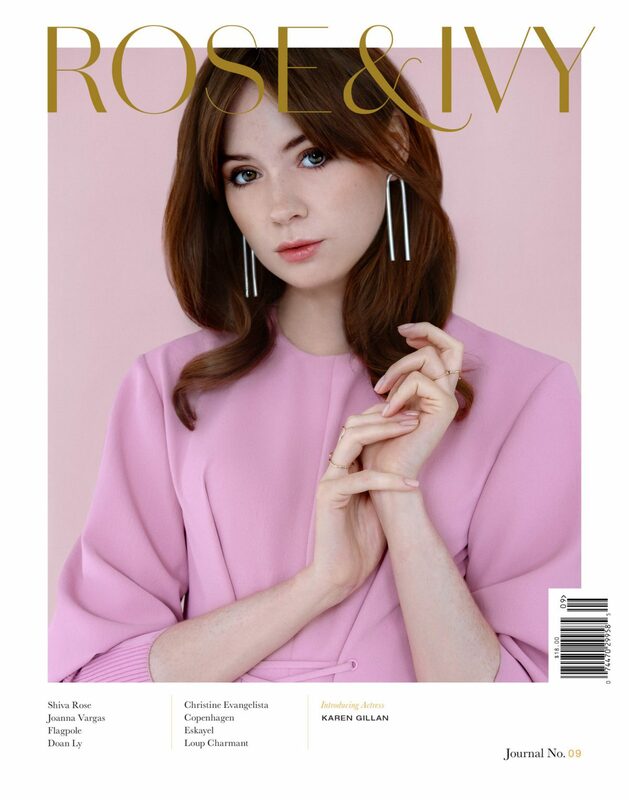 The Stories: Karen Gillan takes on the world; a design and food lover’s guide to Copenhagen; Kee Edwards of Loup Charmant opens the doors of her light-filled Brooklyn home; actress Christine Evangelista talks about her series The Arrangementwhich has entered its second season; the art of the dumpling courtesy of Kings Co. Imperial’s Tracy Young; and so much more.